It's the celestial equivalent of a horror movie villain–a star that wouldn't stay dead. An international team of astronomers including Carnegie's Nick Konidaris and Benjamin Shappee discovered a star that exploded multiple times over a period of 50 years. The finding, published by Nature, completely confounds existing knowledge of a star's end of life, and Konidaris' instrument-construction played a crucial role in analyzing the phenomenon. In September 2014, the intermediate Palomar Transient Factory team of astronomers detected a new explosion in the sky, iPTF14hls. The light given off by the event was analyzed in order to understand the speed and chemical composition of the material ejected in the explosion. It turned out that somehow this star exploded more than half a century ago, survived, and exploded again in 2014. 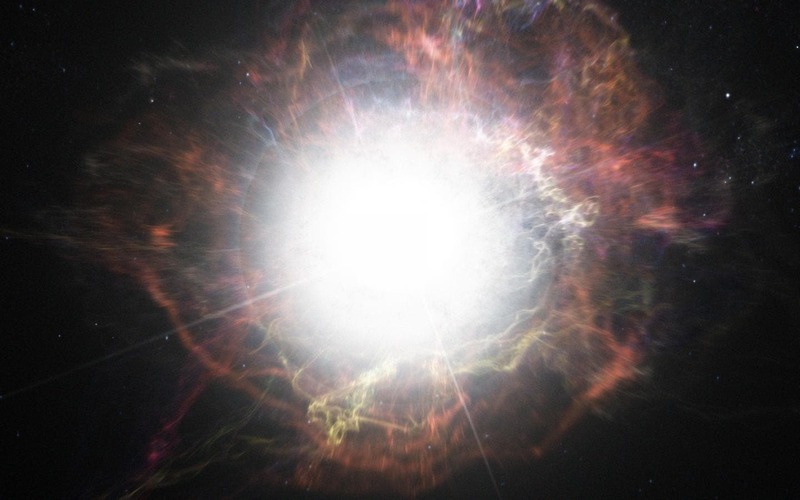 "This supernova breaks everything we thought we knew about how they work," said lead author Iair Arcavi of University of California Santa Barbara and Las Cumbres Observatory.